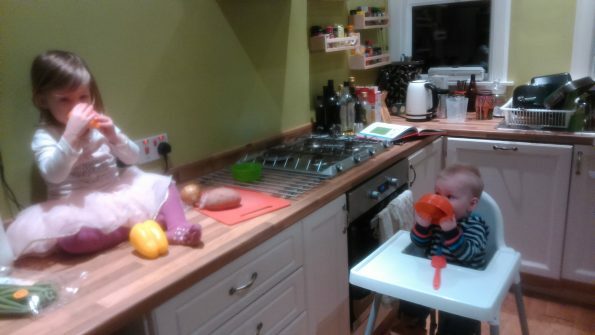 From a very young age, and before she was able to do anything but watch, Hannah has sat up on the work surface next to me while I cook. Initially it was just a way to get dinner cooked, but over time it’s given her the opportunity to see what I’m doing and sample bits and pieces as we go along. Now every time I cook I have my very own helper! As an unintended bonus I’ve also found it a great way to introduce Hannah to new food. She has a tendency to be a bit of a fussy eater but I’ve never wanted to spend time creating fancy pirate ships out of fruit or vegetable clown faces just to encourage her to try something. Luckily I’ve not had to as she seems to lose her fear of the unknown when she’s sitting up next to me seeing food being prepared. On a day to day basis I’ll let Hannah do something simple like help me prepare vegetables, peel onions, mix sauces, put chopped vegetables in a pan or roll out her own dough for pizza. As she’s got a wee bit older and more capable and because she enjoys her time in the kitchen we’ve started doing a lot of baking together. We make anything from a simple biscuit or cupcake to muffins or bread. It can be a messy business at times, especially where flour or icing sugar is concerned but luckily I have a willing volunteer to help clean up! Lewis has started in much the same way as Hannah in the kitchen. At first, he watched from his high chair while he played with some utensils but now he’s at an age where he wants to do exactly what his big sister does. When we’re baking I have to find bits they can both do or try to teach some turn taking. 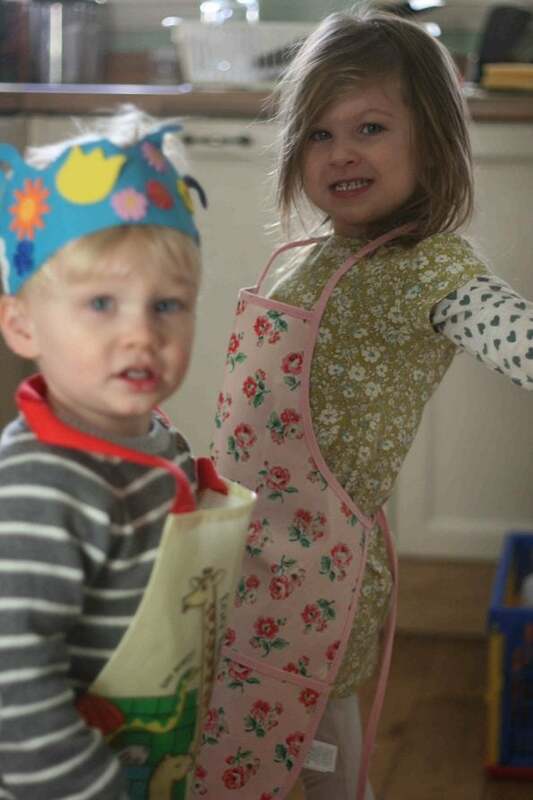 Look out for posts tagged ‘baking with two’ to see how easy (or otherwise) it is to have two toddlers in the kitchen together. Hi, I'm Helen, Mum to two little ones who like to help in the kitchen. 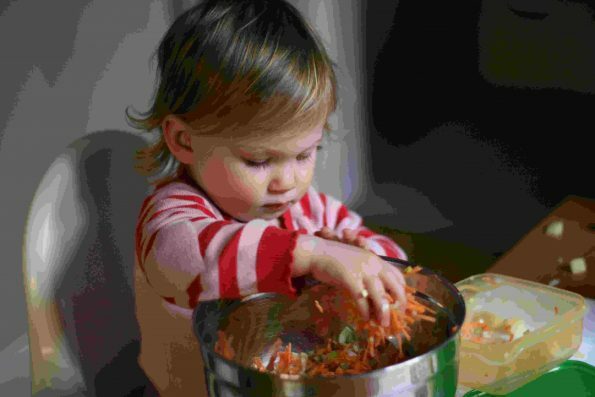 This blog aims to share easy recipes you can cook with young children.